March is Muscial month at Grand Canal Theatre. Following on from the week long run of Stomp! Marty Pellow of Wet Wet Wet fame takes to the stage as the lead (dual) role in Frank Wildhorn’s musical take on Jekyll & Hyde. I caught up with Sarah Earnshaw who plays Emma Crew, the fiancée of Henry Jekyll. While I’m sure everyone is aware of the Robert Louis Stephenson story can you give us a quick run down on the show? Well, Jekyll & Hyde is the famous Stephenson story of a man with a split personality. In the show, the first scene you see is Dr Jekyll in a hospital visiting his father who has gone insane. Jekyll believes that there is both good and evil in everyone and that the evil has taken over his father’s mind. So he starts thinking about the possibility of separating the two and he experiments on himself. So he takes this potion and from there, the Hyde character is revealed. And what about the character you play, Emma? Yes, I play Emma Carew who is Jekyll’s fiancée and she’s a very modern, very strong character. She goes against her family’s wishes, who want her to marry a duke, because she’s completely in love with Jekyll and they have a lovely duet number called “Take Me As I Am”. Then there’s another female character called Lucy who is a lady of the night and he comes into contact with her a lot when he’s transformed into Hyde, so not only do you get the story of Jekyll’s split personality but the subtext of the love triangle as well. You were one of the original cast members of Wicked, how does that differ from the show you’re doing now? Obviously the tone is completely different in each show. Yes, they are completely different but with every show you do it’s always completely different. I played Glenda in Wicked and she couldn’t be any further away from the role of Emma. She’s a ditzy, comedy blond but she does go on a journey during the show. And yes the tone is different – one is incredibly dark and the other is fantasy. Even the rehearsal time between the two was different. Because I was part of the original Wicked cast, we had six weeks rehearsal: 4 in the studio and 2 in theatre. But with J&H we only had three weeks, which is half the time for such a big production. I’m lucky as an actress that I’ve had such different roles in such completely different shows. What is it about Jekyll & Hyde that people like so much? It’s very dark, not your standard musical tone. It is dark. But that’s where the music is so important and Frank Wildhorn wrote such uplifting music for the show. It’s dark but it’s also about hope, both the female characters have great songs showing this, I have ‘Once Upon a Dream’ and Lucy has ‘Someone Like You’. But I think the concept draws people as well. The Jekyll & Hyde story is such an iconic one. And it’s a great role for Marti because he gets to explore the dual personalities and play two completely different characters on stage. He gets to reveal two characters and by revealing those two characters, the two female characters and their differences are revealed too. It’s one of the great things about the show, that you have the different ends of the spectrum in Jekyll’s personality but you also have the two female leads who are from completely different ends of the social spectrum. What about the argument that the show is more of a ‘one man show’ than an ensemble piece? I don’t really agree with that. Obviously Marti is on stage for almost all of the show and does work really hard in his role. But there are other great characters through the show too, like Emma, Lucy and his friend John Utterson. We’ve got a really great ensemble around us as well and you see that through the solo lines that each belts out, you can get the feeling that you’ve got a really strong, really talented company around you. The opening number really highlights this. Coming back to your own background then, you’ve had some great roles in some great shows, what’s the dream role, the one you’d love to play? Eliza Doolittle in My Fair Lady. That’s the dream role. Such a great character and she has everything from the comedy at the beginning and the day at Royal Ascot to her learning how to speak properly when she changes into a lady. It’s a great part to explore that journey and that transition. The part of Glenda was a bit like that in the sense that the character develops along the way but it was different in that she was a very soprano, but belt-it-out kind of singer. I’m lucky with the roles I’ve had so far but Eliza Doolittle is the dream. Just that I’m very excited to be coming to Dublin. I’ve been a few times but I’m really looking forward to spending a week here. I’m also really looking forward to getting on stage, I hear the theatre is wonderful and we’re there from the 7th – 11th of March. 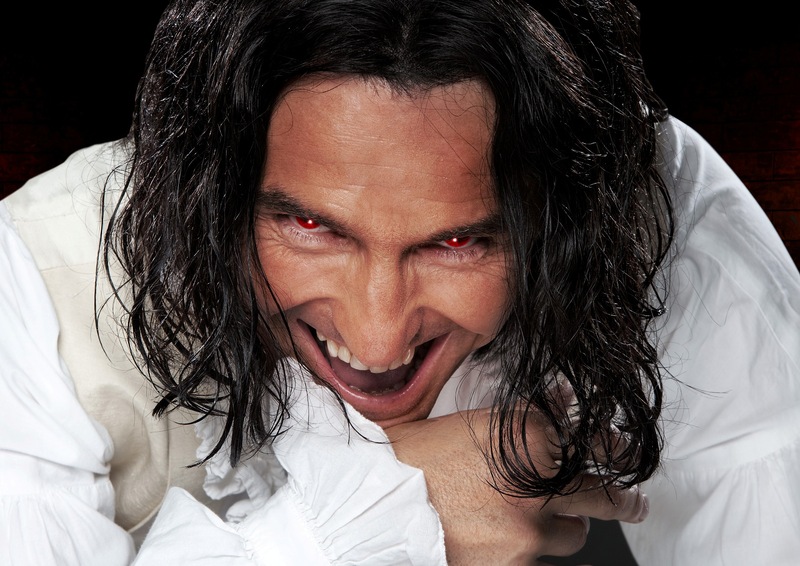 Jekyll & Hyde runs from the 7th – 11th of March. Tickets on sale now through Ticketmaster.